Uber, the app-based ride hailing company, calls it “deactivation,” but for the drivers, it really means they’ve been fired. When a driver’s rating falls low enough on its five-star grading system, Uber can unilaterally fire drivers. That would’ve been the end of their Uber driving careers, until now—at least in New York City. Thanks to the Independent Drivers Guild (IDG), an affiliate of IAM District 15, Uber drivers now have a real chance of getting their job back. “According to [IDG Founder Jim] Conigliaro, Jr., drivers can contest deactivation decisions in front of a five-member “peer panel” of drivers, selected by the guild and the company. The hearings will be overseen by the American Arbitration Association, a nonprofit group, and drivers can request representation from the IDG. The Independent Drivers Guild represents all of the more than 40,000 Uber drivers in New York City. 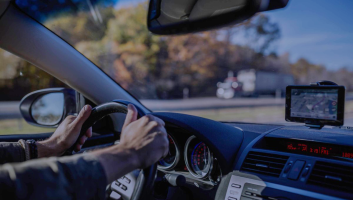 The post IAM’s Independent Drivers Guild is Giving ‘Deactivated’ Uber Drivers a Chance appeared first on IAMAW.